Melanie Parks has been a professional illustrator for more than twenty-five years, producing artwork for book jackets and interiors, packaging, magazines and advertizing. She works in a variety of styles and media. 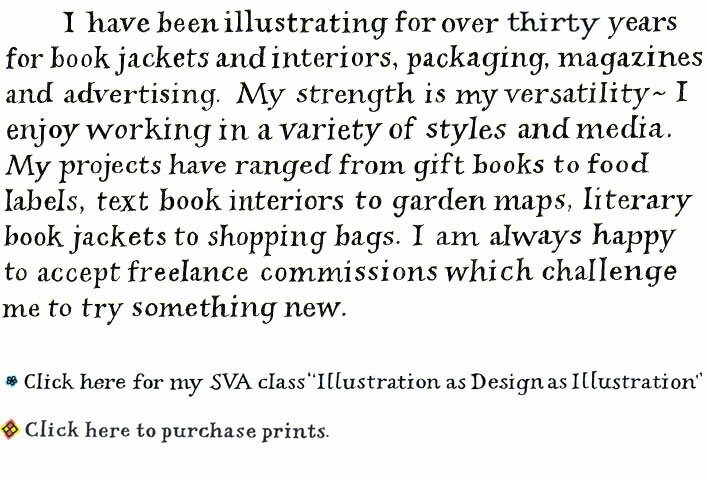 Projects have ranged from gift books to food labels, text books to garden maps, literary book jackets to shopping bags.